If you are looking for spectacular mountain beauty look no further than Fairfield Glade. Located high atop Tennessee’s Cumberland Plateau at 2,000 feet elevation, Fairfield Glade accounts for the near perfect seasonal changes with very comfortable summers and mild winters. Enjoy Tennessee’s low property tax and moderate home prices! Come stay & play with us and discover what we’re all about! *$150 package is available for a limited time. Payment is due when making the reservation. During your visit, a relocation specialist will take you on a tour of our beautiful resort and introduce you to all the area has to offer—homesites, homes, maintenance free patio homes—we can address all your questions. We will issue your package certificates at that time. If traveling alone, you may select a package for $125 which includes accommodations and a $25 dinner certificate. We reserve the right to substitute lodging or features of equal or greater value. Full retail value of the package is $250 ($100 per night for accommodations and $50 for the dinner certificate). Consumer is responsible for full retail value of package if tour isn’t attended. Hotel accommodations and show and tee times are subject to availability. Obtain the property report required by federal law before signing anything. No federal or state agency has judged the merits, or value, if any, of this property. Void where prohibited by law. This is not an offer to residents of any state in which registration requirements have not been met. Please contact Fairfield Glade staff for details. 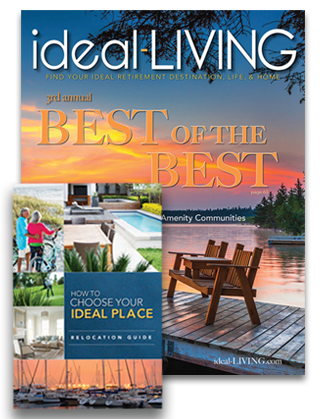 Travel to a retirement community to discover if it is right for you!